Being able to enjoy a crackling fire outdoors should not be limited to camping trips. Perfect for the summer and fall months, firepits and fire tables can create a relaxing and fun atmosphere in any outdoor space. Most designers consider fire pits or fire tables to be must-haves because they serve as focal points and provide a sense of luxury. 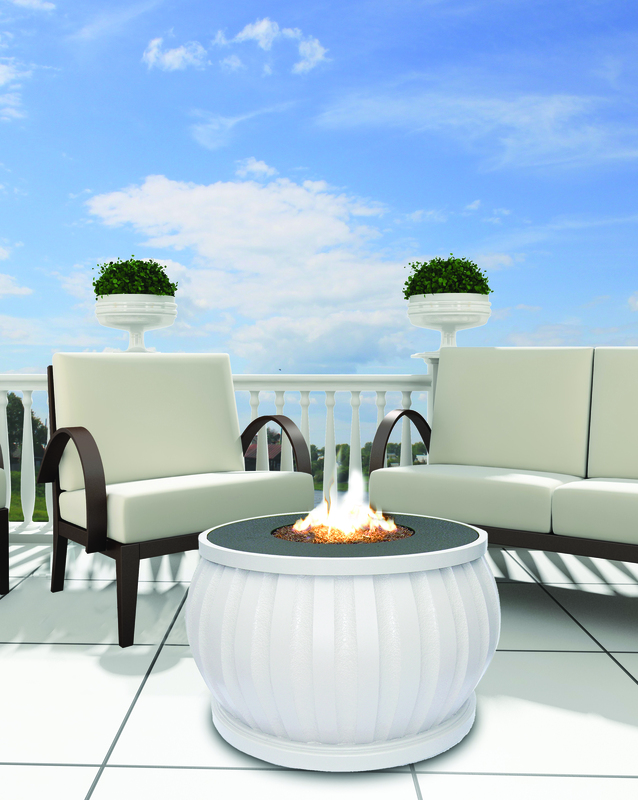 There are now a variety of firepits and fire tables to choose from since manufacturers have been introducing many new models during the past couple of years to meet increasing consumer demand. Firepits are can either be built into the ground or above ground. 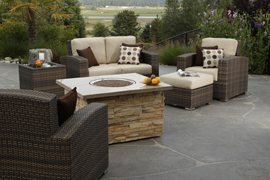 With so many styles now available, it’s not hard to find one that complements the rest of one’s outdoor space. Fire tables are perfect for entertainers who want to impress their guests with their outdoor space. Having a meal or drinks around a fire table can add an element of fun and also serves as a good conversation piece. Although firepits and fire tables are fun, it’s important to remind customers to pay attention to fire safety when using these products. If they are not used properly, they can be dangerous to the people involved and can damage structures near the firepit or table.